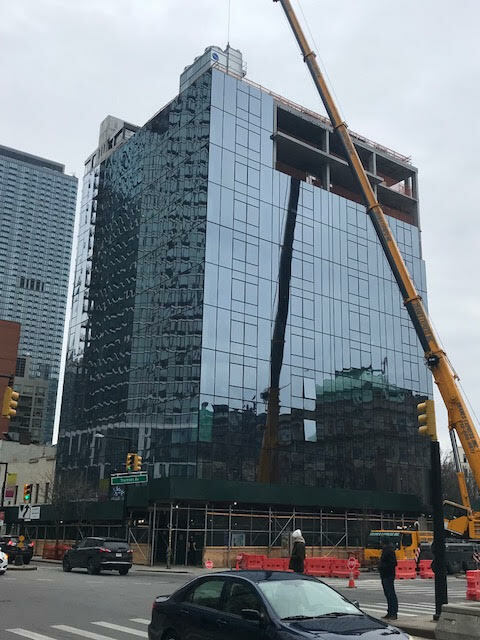 In December, we reported that facade work had started at 45-07 Court Square a/k/a 5 Court Square, the former home of ENC Market, Domino’s Pizza and Montessori Kids of LIC.1 When we stopped by last week, we saw that facade work has nearly completed, as seen in the photo below. 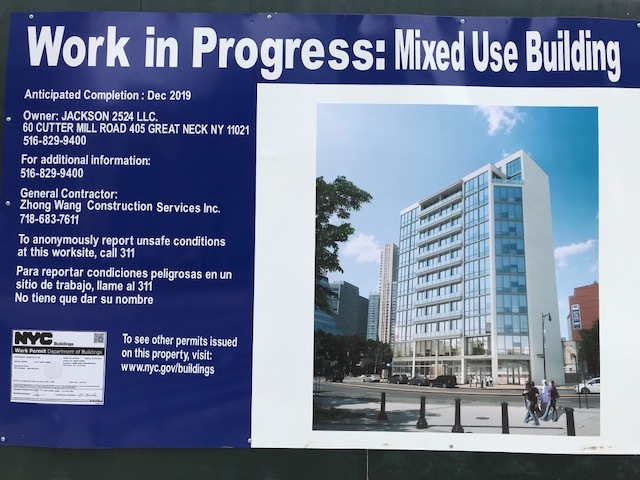 That does not look like the rendering. Bait and switch!